I held off on this story for some times now, because I write about relationships not celebrities. But just because they’re famous, doesn't mean they’re not like us. A few weeks ago, I wrote about how Kim Kardashian loves Kanye west; and she wouldn’t leave him. After all he has done for her, and her family. But after media start reporting that Kim Kardashian, isn't happy in her marriage. And hasn’t been happy for sometime now, I was a little surprised. But when it comes to this family and what they’re willing to do for fame, nothing they do surprise me anymore. 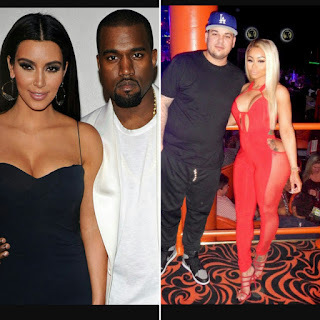 And also, has now been reported, that the family is blocking former stripper blac Chyna from trademarking the family last name, if she married their baby brother rob Kardashian. This shows how the family feel about their relationship, and the former stripper all together. If the reports are true about the ending of their marriage, it will truly show what kind of woman Kim Kardashian truly is. And her true agenda for marrying Kanye west, in the first place. Kim Kardashian, and Kanye west been together since 2012. Since they’ve been together Kanye has been hit with criticism for his relationship with Kim, everyone blamed Kim Kardashian for Kanye west downfall. And in a way, she is to blamed. But Kanye west was heading, down this road way before Kim Kardashian came into his life. But it’s easy to look past that, when everyone hate to talk about her. 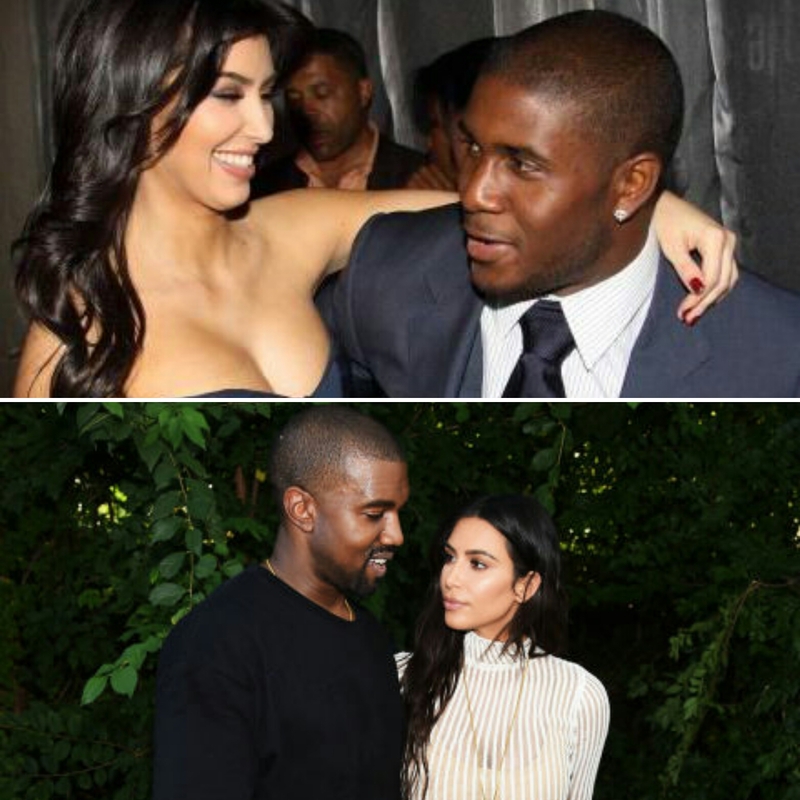 Kim Kardashian past has always been a issue, which is why no one wanted them together. Kanye west had made many sacrifices for his relationship with Kim, even sacrifice his friendship with jay-z in order to be with her (but if jay and Kanye were really friends then nothing or no one should have came between them in the first place). Like I said last time, Kanye west needed help way before he got with Kim. Because he never dealt with the death of his mother, but when you’re not ready to face your demons you will find a way to avoid them. So, that where Kim Kardashian comes into play. But when it come to the conversation of love, and relationships. One thing we all can agree on; Kim Kardashian has a very poor outlook on love. If the rumors are true, then this will be Kim third divorce in her lifetime. There is no denying, that Kim Kardashian is a beautiful woman. But on the inside she is an empty woman, with no clue how love and marriage work (nor do Kanye but I get back to him shorty). Kim Kardashian doesn’t know how to love, because she was never taught how to love. It was reported that her mother married their father for money, she was 19 when she married their father fame lawyer Robert Kardashian. So, in a way that explain her behavior. But it does not excuse her behavior, you can tell in order to be with anyone in the Kardashian family that you have to be rich and stupid (and black or black like IE Scott disick). Kim Kardashian has a long list of men, that she has been linked to. But in truth, there was one man that Kim Kardashian did truly loved with all her heart, but her “career “ and her mother mess it up for her. When Kim Kardashian were dating pro football player Reggie bush, that was the only time I can say that she’s looked genuinely happy. When she was with the famous football player, she travels the world to be with him. And when he won the superball, Kim was there by his side. But this was the early stages of her career, so she had people in her ear telling her that she shouldn’t be too serious with Reggie. And it was reported that Reggie bush did not want the fame, but Kim was not willing to give up career and fame for the pro football player (nor was her mother going to let her end her career for him). And that what ended her relationship. So, in a way Kim settle for Kanye because she couldn’t be with the man she really loved. But while the world wait for the next chapter of Kim ,and kanye marriage. Her little brother, is taking the attention off of her. When Rob Kardashian and blac Chyna announced their relationship to the world. The relationship caught everyone off guard, because for the past 4 years Rob Kardashian was in hiding. He hid because of his massive weight gain (and the fact he was the family joke). He was so a shame of his weight, that he didn’t even attends kim and Kanye wedding. But when he came out of hiding, and it was because of angela renee. Everyone in the Kardashian family were angry with rob. And even said that rob “had no loyalty” for dating the former stripper (even though your little sister were messing with her child father while they were still engaged but rob had no loyalty oh ok). When they first got together I was all for this relationship, because of how the family treated her. But now I think that this was the biggest mistake she ever made, and even if she does have the only child that will carry on the Kardashian name. In truth blac Chyna was better off cutting ties with the rapper tyga, and with the whole Kardashian family all together. Blac Chyna, and tyga first start dating in 2011, after she started in his video for his only hit “rack city”. The following year, the pair had a son and gotten engaged the following month. Blac Chyna, and Kim Kardashian first became friends after she moved to gated community Calabasas CA. They were seen everywhere together, and she even appeared on the family hit TV show. But in august 2014, blac Chyna and tyga announce the ending of their engagement. The ending of their relationship caught everyone off guard, and everything about their break up seem off. And when she replaces Kim Kardashian with amber rose, that when everyone knew that something was up. And the puzzle finally came together after much speculation, Kanye west confirmed that baby sister kylie Jenner was dating rapper/single father tyga. And to make matters worse, Kanye west went on to say that he would have done the something if he was in tyga shoes (signs right there he needed help but looked past). The breakup of blac Chyna, and tyga relationship finally made sense. And the reasons why she was no longer friends with Kim Kardashian also made sense. Ever since kylie and tyga been together, Kim kardashian doesn’t really speak about the pair relationship. 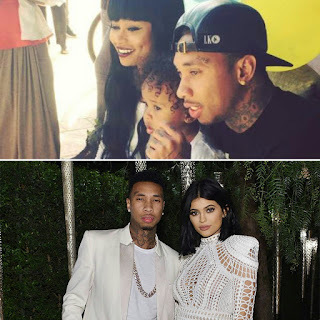 But Kim later on revealed that, kylie Jenner was in fact was behind the break-up of blac Chyna and tyga. But she had to side with kylie, because she is her “little sister”. Even though, that the family try to paint the picture. That everyone accepts blac Chyna, and want her to be a part of the family. You can tell that family do not want nothing, to do with her. And with new reports that the family do not want her to take on the family name, because of her reputation. Made me lose all respect for the Kardashian family, they showed how they feel about the former stripper. And it also made me lose respect for rob Kardashian, and tyga as well. Because neither man stood up for blac Chyna, knowing she is the mother of their children. In order to date a Kardashian, it seem like you have to give up your self-respect. But as easy as it’s to blame them, you still have a choice in the situation. 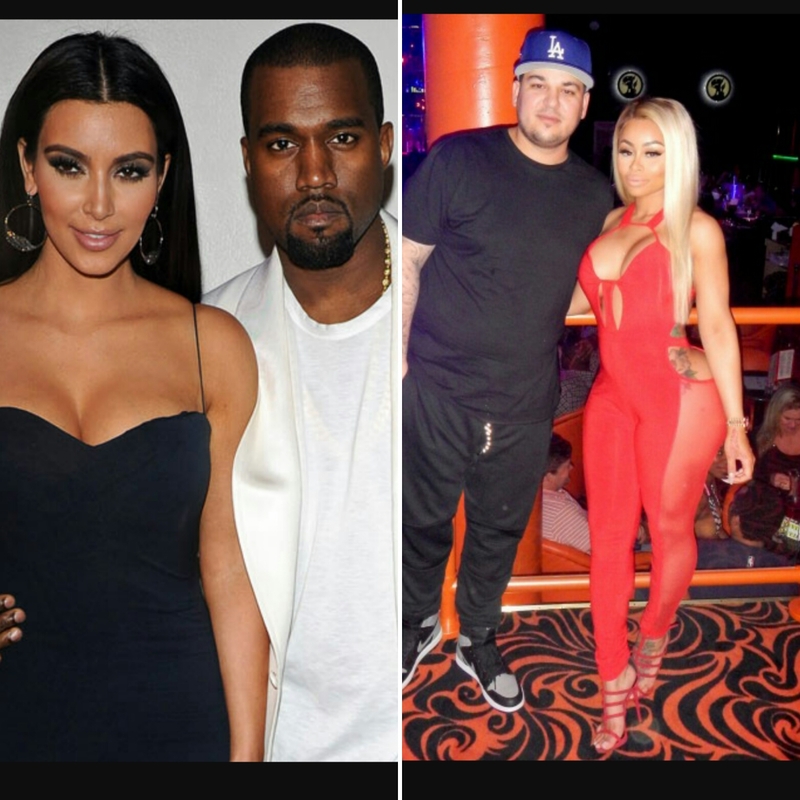 Blac Chyna, and Kanye west knew what they were getting themselves into dating a Kardashian. But they still chose to be with them. Kanye west wanted a woman he could control; he couldn’t control a black woman. So, he went to the next best thing. And he wanted to build a woman, and that what he did with Kim Kardashian. Hopefully now he finally getting the help he truly need, and time will tell if the reports about his marriage is true. But if they're, I don’t see Kanye west getting married again. And as far as Blac Chyna, and Rob Kardashian goes. Blac Chyna may look like the winner in this situation, but in reality she really is the loser. Like I said earlier, she should have just walk away for mental peace. But she let her anger of tyga, and the Kardashian family get to her. Rob Kardashian is still a child, trapped in a grown man body. He still has demons that he needs to deal with, and he did the same thing that Kanye west did. Instead of facing his demons, he hid behind them. he wanted to get even with his family, for how they treated him over the years. And that where blac Chyna come into play, in truth blac Chyna and Rob Kardashian do not want to be together. They got together for pure revenge, for how the family for treated them. I don’t see them making it down the street together, let alone a wedding aisle. There is only one winner, and as usual it’s the Kardashian family. Their time will come to an end soon, but the damage will already be done. But the people who choose to lay down with them, had no one to blame but themselves.